Overall data traffic doubled between Q1 2012 and Q1 2013 and is now expected to grow 12-fold by the end of 2018 as the global smartphone subscriber base rises from 1.2 billion in 2013 to 4.5 billion in 2018, according to the newly released Ericsson Mobility Report. By 2018, Ericsson estimates that 60 percent of the world's population will be covered by LTE. "We expect LTE subscriptions to exceed 1 billion in 2017, driven by more capable devices and demand for data-intensive services such as video. Owing to the build out of WCDMA/HSPA, network speeds have improved, and so has the user experience," stated Douglas Gilstrap, Senior Vice President and Head of Strategy at Ericsson. 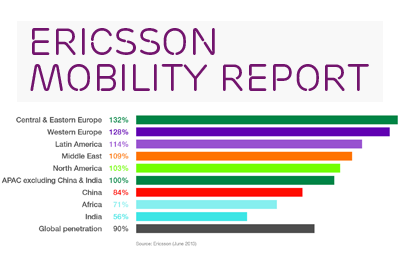 Mobility growth is exceeding expectations and Ericsson is increasing its forecast for LTE adoption. GSM is expected to start declining in 2013/2014. Global mobile penetration was at 90% in Q1 2013 and mobile subscriptions now total around 6.4 billion. The actual number of subscribers is around 4.5 billion when accounting for people who have multiple subscriptions. There are projected to be over 9 billion mobile subscriptions by the end of 2018. Global mobile broadband subscriptions have grown by around 45% year-on-year and have reached around 1.7 billion. For Q1 2013, LTE added about 20 million new subscriptions, GSM/EDGE-only subscriptions added ~30 million, and WCDMA/HSPA ~60 million. Total smartphone subscriptions reached 1.2 billion at the end of 2012 and are expected to grow to 4.5 billion in 2018. LTE reached 100 million subscriptions in the beginning of June 2013. Ericsson predicts LTE will reach 2 billion subscriptions by 2018. In its last forecast in November 2012, Ericsson had predicted 1.7 billion by 2018. Mobile subscriptions will grow at a 6% CAGR from 2012-2018. 50% of phones sold during Q1 2013 were smartphones. By 2018, the average smartphone subscription will used 2 GB of data per month. From the end of 2011 to the end of 2012, the LTE footprint coverage doubled from 5% to 10%. Addressing network performance has the largest impact on customer loyalty -- four times as effective as introducing loyalty rewards. In certain networks, users spend up to 85 minutes per day with social media. This is becoming a leading use for mobile data. 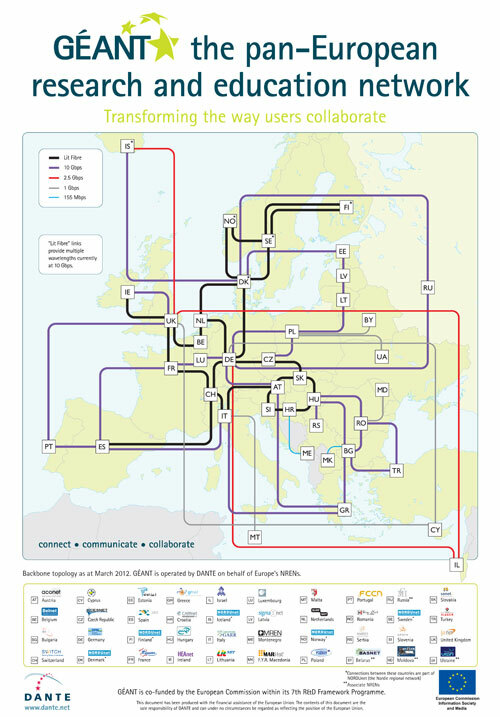 DANTE, the organization that manages the GÉANT pan-European research and education network, announced a milestone in the rapid provisioning of bandwidth capacity on a live network. Infinera and DANTE were able to install and activate 2 Terabits per second (Tbps) of long haul super-channel optical capacity and provision a 100 Gigabit Ethernet (GbE) service over the GÉANT production network all in less than 12 minutes from plugging in the first line card. Infinera reports that the demonstration was carried out using production DTN-X platforms and deployed on the GÉANT backbone. 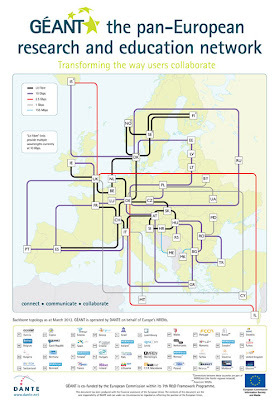 The demonstration used a long distance link from Amsterdam to Frankfurt, a distance of 671km, including 10 fiber spans. First the 2 Tbps of line side capacity was activated and then the 100 GbE service was deployed as part of the test to show that the capacity was immediately available for service. We believe that rapid delivery of capacity and service is a key advantage of Infinera solutions and allows carriers to respond to customers’ rapidly changing demands. The trial involved lighting up four 500Gb/s super-channels, and then provisioning a 100GbE service across the link. "When Infinera was involved in the procurement process for the GÉANT backbone they made a number of claims about their ability to turn up long haul capacity very rapidly, and we decided to put those claims to the test,” said Michael Enrico, CTO of DANTE. “The fact is that critical science experiments across Europe are generating immense quantities of data that are often difficult to fit into a forecasting process, so this ability to turn up, or redirect long haul capacity in a matter of minutes will help us transform the service we offer to our National Research and Education Network partners." Qualcomm introduced a new version of its Snapdragon 400 processor featuring a quad-core CPU with integrated multimode 3G/4G LTE. This makes the Snapdragon 400 tier the first to offer multimode 3G/4G LTE on processors with both dual- and quad-core CPUs for high-volume smartphones. The new Snapdragon processor integrates key modem features that are important to China and other emerging regions, including TD-SCDMA, HSPA+ (up to 42Mbps), and multi-SIM capabilities. The new Snapdragon 400 processor (8926), along with its Qualcomm Reference Design counterpart, will be available in late 2013 and will deliver the optimal balance of multimedia features, modem technologies and performance to high-volume smartphones. In addition, the newest Snapdragon 400 processor will continue to support multi-SIM capabilities of Dual SIM, Dual Standby and Dual SIM, Dual Active and is optimized to deliver a smooth, graphics-rich gaming experience and provides Miracast support for wireless streaming of multimedia content. The platform also supports a rich set of wireless connectivity functionality including integrated Qualcomm VIVE 802.11ac Wi-Fi, Bluetooth, FM and NFC. "By offering a multimode 3G/4G LTE variant to Qualcomm Snapdragon 400 tier of processors with quad-core CPUs, we are ensuring that emerging regions are equipped and prepared for the imminent transition to multimode 3G/4G LTE, in addition to being equipped for every major 2G and 3G technology," said Cristiano Amon, executive vice president and co-president of mobile and computing products, Qualcomm Technologies. "Snapdragon 400 processors provide customers with a wide range of innovative smartphones for both the high-volume and mid-tier segments." The Digicel consortium will bid for a nationwide mobile phone licence in Myanmar. The consortium, which is backed by Quantum Strategic Partners Ltd with the involvement of George Soros, has committed to reaching 96 per cent population coverage by the end of 2015. 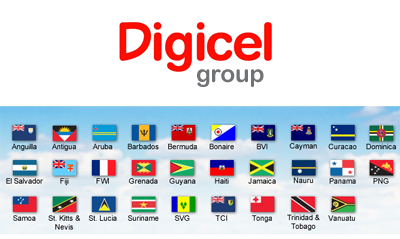 "This is truly an historic day for Digicel. With FMI/Yoma and Quantum Strategic Partners, our consortium brings unrivalled expertise, local experience and resources to deliver a world-class telecommunications service to Myanmar," said Mr. Denis O'Brien - Chairman and Founder of Digicel Group Limited, in Nay Pyi Taw today. Our promise is 'Myanmar's Bigger, Better Network' and the Digicel Consortium will do this by delivering the best network, best service, best value and best innovation to the people of Myanmar," Mr. O'Brien added. Another major initiative will be the provision of free connectivity to 879 hospitals, 3,900 secondary schools, 180 universities and 4,600 libraries. IBM and AT&T are collaborating to help enterprises to develop more network-efficient mobile apps. 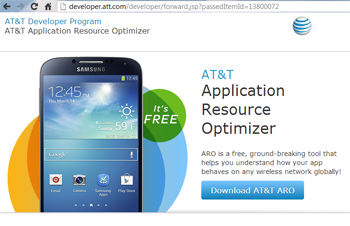 The integration of AT&T's Application Resource Optimizer (ARO) with IBM's software development solution for Collaborative Lifecycle Management (CLM) will help determine how enterprise mobile apps are performing on any wireless network. "ARO tackles a fundamental coding challenge developers face today – finding and fixing performance and power bottlenecks that detract from a great user experience," said Carlton Hill, vice president –Developer Services, AT&T. "ARO can help developers create apps that conserve battery life, load pages faster and consume network resources in a smarter way, all of which improve the customer experience." AT&T's ARO is a free, carrier-agnostic, open source diagnostic tool that enables developers to analyze the performance of their apps, whether they be business or consumer apps. Launched in January 2012, ARO is now used by more than 1,500 developers, and users are seeing better results across the board, from a 35 percent reduction in excess data usage to apps that run up to 60 percent faster. 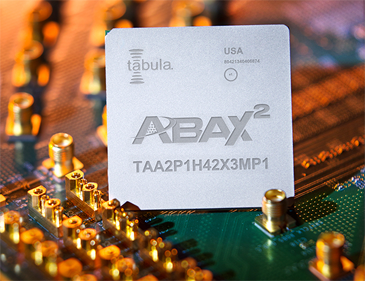 Tabula, a start-up based in Santa Clara, California, announced the availability of the latest addition to its suite of high-performance packet processing solutions: the 100G Ethernet Packet Parser Reference Design Kit. 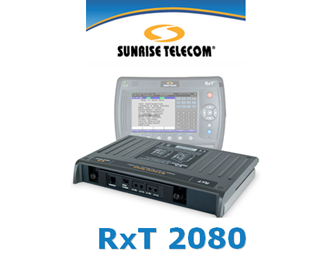 This latest kit is based on its new ABAX2P1 3PLD and supported by its Stylus revision 2.6.2 compiler. Earlier this year, Tabula unveiled its suite of high-performance packet processing solutions aimed at 100G applications. In 2011, Tabula announced $108 million in Series D funding for its 3PLD ABAX programmable logic products. VeEX, a supplier of telecom and CATV test solutions, agreed to acquire Sunrise Telecom , a supplier of test, monitoring and workflow management solutions for cable, telecom, wireless operators, and equipment manufacturers. Financial terms were not disclosed. VeEX said the deal will accelerate its growth and strengthen its presence in the CATV and telecom markets. VeEX is located in Fremont, California.